High blood is a potentially dangerous condition marked by chronic or acute elevations in the force that your blood exerts against your vascular walls. Hypertension is the name given to chronic blood pressure and it is often indicative of underlying health issues, genetic predisposition and lifestyle problems. 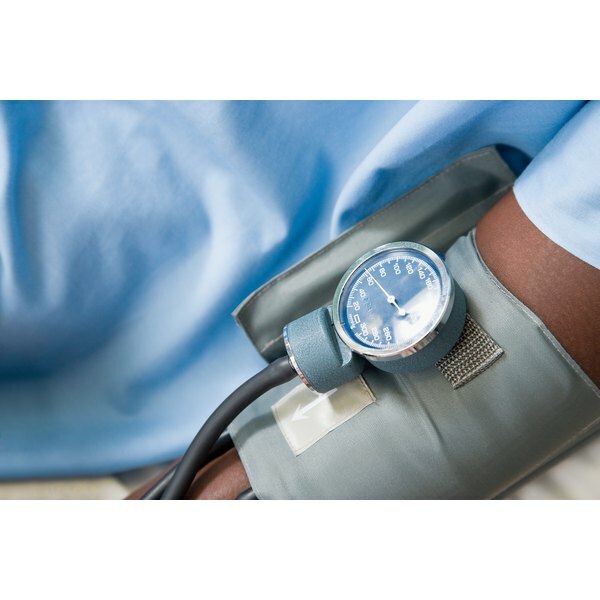 Acute spikes in blood pressure are usually brought on by stressful situations and unhealthy food intake. The major component of salt is sodium and sodium is a naturally occurring mineral found in most whole foods. Manufacturers often add salt to packaged foods as a preservative that extends shelf life. Restaurants also add large amounts of salt to cooked foods to enhance taste. According to physicians at the Cleveland Clinic, added sodium in foods is often the culprit behind spikes in blood pressure. Some examples of high sodium processed foods are lunch and deli meats, sausage, bacon, and ham, canned soups, bouillon, dried soup mixes, marinades, dressings, soy sauces, ketchup, frozen and boxed mixes, popcorn, pretzels, peanuts, chips and pickled goods. When consumed excessively, alcohol can elevate your blood pressure to dangerous levels. The American Heart Association states that men should have no more than two alcoholic drinks per day, and women should have no more than one. Understanding how much alcohol you are consuming is an important step in moderating the habit; one drink is equivalent to 12 ounces of beer, 5 ounces of wine or 1.5 ounces of 80-proof liquor. Meat eaters with a high fat diet have been found to have higher blood pressure levels than those with vegetarian diets. A study published in the April 1987 issue of the "Journal of the Royal Society of Medicine" found that the high fiber and high polyunsaturated fat content of vegetarian diets are what keep blood pressure low. Furthermore, many fruit and vegetables contain potassium, a known agent in blood pressure reduction.